"Make a splash with a new (old) way of enjoying champagne!" Looking to make an impression at your next celebratory occasion? The Robb Vices Great Celebration Kit is just what you are looking for! Did you know that during the time of Napoleon, bottles of champagne were often opened using swords? 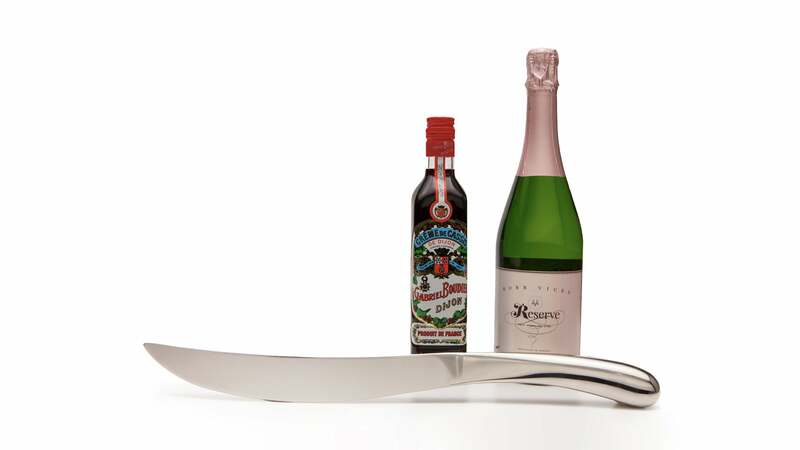 The Great Celebration Kit pays homage to that theatrical tradition with the inclusion of a strikingly beautiful, handmade, stainless steel sabre created by Danish design company Georg Jensen. It’s a perfect marriage of function and style! Of course, no champagne sabring kit would be complete without a bottle of bubbly. 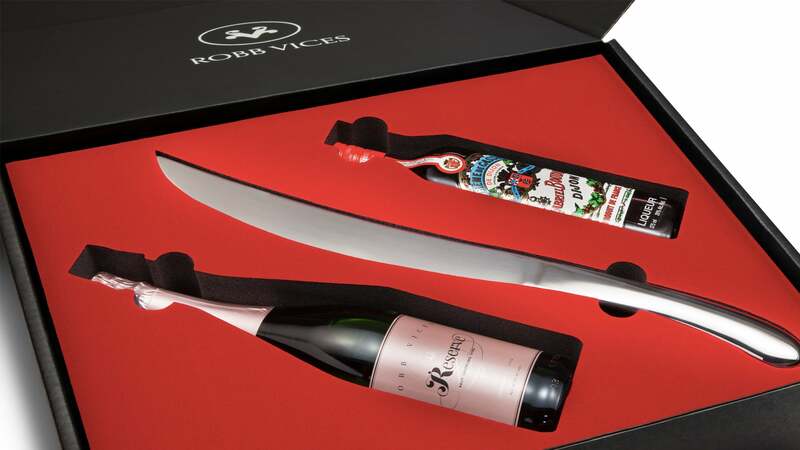 The kit contains a bottle of Robb Vices reserve sparkling wine, made with some of the finest Chardonnay grapes sourced from Southern France. I found it to be deliciously crisp with subtle pear notes, which is exactly what I want from a sparkling wine. The final item in the kit is a bottle of Creme de Cassis de Dijon, a liqueur made from ripe blackcurrant berries. I’ll be honest: this liqueur earned me almost as many kudos as the sabre, as my friends enthusiastically experimented with creating Kir Royale cocktails (they are delicious, by the way). Move over mimosas, there is a new bubbly cocktail in town! Overall, the Great Celebration Kit delivers just what it promises -- a great celebration and some great value.